World renowned and International Award Winner Vic Schendel shares some of his most loved photography with you. Vic's brilliant photography is on display in the Smithsonian Institute of Natural Sciences, right next to the Hope diamond. Please see the bottom of this page for more on Vic. Vic Schendel is a Colorado Wildlife and Nature photographer. His fine art photography is collected by people though out the world and and is considered by many to be one of the best wildlife photographers in the United States. His pictures have graced over two hundred and fifty front covers of magazines including Field and Stream, Sports Afield, Bugle, Colorado Outdoors, Montana Outdoors, Southwest Fly Fishing, Cabela’s, Bowhunter, Petersen’s Hunting, Petersen’s Bowhunting, Pumpernickel Press, Sierra Club, Mule Deer Foundation, Successful Hunter and American Hunter. As a Colorado Wildlife photographer, Vic is known for having some of the very best elk, mule deer, whitetail deer, Rocky Mountain Bighorn Sheep and Mountain Goat pictures in the world. His published books include some of the Largest Bull Elk pictures taken. Over the years, Vic’s reputation has grown and he is now recognized as not only a Colorado Wildlife and Nature photographer, but one of the premier wildlife and nature photographers in the United States. He captures incredible pictures of Alaska,Montana, Wyoming, Idaho, Arizona, Utah, California, Nevada, Hawaii and New Mexico. His stunning landscapes and seascapes are known for their spectacular lighting and essence of nature in all of it’s raw beauty. The Galleries in the Vic Schendel website include many of his finest wildlife and nature photography works. You’ll see Bull elk bugle, large Mule deer, beautiful Whitetail Deer, Bald Eagles and various other Raptors, Mountain goats and Bighorn Sheep on precarious cliffs, moose and many little critters that will make you smile. Make sure to visit and spend some time in each one of the galleries. Moose (Alces Alces) There are many photographs of moose in this gallery. They include those found in Yellowstone, Grand Tetons, Colorado, Rocky Mountain National Park, Glacier National Park, Denali National Park and Montana. Baby moose are cute and fun to photograph but their mothers are extremely protective and dangerous. Bull Moose in fall colors, with their large antlers make for beautiful pictures. During the summer months, the bulls antlers are covered in velvet and are extremely sensitive. Here, you’ll find examples of them all. Moose, being very temperamental, are one of the most dangerous of the wild animals Vic photographs. Pronghorn Antelope (Antilocapra Americana) are the fastest mammals in North America and can run at speeds up to 55mph. The babies, with their long, spindly legs are born in the late spring and within hours can sprint with their parents. Early summer finds the Bucks, Does and Fawns on the high plains of many western states including, Wyoming, Colorado, Montana, and New Mexico. Some of the largest bucks roam Custer State Park in the Black Hills of South Dakota. The many photographs in this gallery are a good representation of the species and you’ll find that Vic tries to capture not only their beauty put personalities as well. Bison (Bison Bison) are also known as the American Buffalo or Tatanka, Many people have marveled at this symbol of the American West and their place in American History. They have been featured in many western films including Dances with Wolves and How the West was Won. Once their species was estimated to have numbered nearly 60,000,000 but were saved from near extinction by conservationists. They can still be found roaming wild in Yellowstone and Grand Teton National Parks. Vic considers this his Spirit animal and enjoys photographing them during all seasons. Please enjoy this gallery and connect with Vic’s soul as you view the power and wildness of this majestic monarch of the plains. Coyote ( Canis Latrans) This small predator is also known as The Trixster or Smugler. You can find him just about anywhere in North America including Yellowstone National Park, Teton National Park, Rocky Mountain National Park and the Black Hills of South Dakota. Vic has photographed these critters in neighborhoods and the wild. Sometimes they are very shy and other times curious and fairly easy to photograph. They have the well earned name of Trixster simply because they seem to always be looking for an easy angle They are best photographed in the winter months when their beautiful coats are full . Look at their eyes and you’ll see Mr Trixster looking back. Wolves (Canis Lupus) Nothing stirs Vic’s passion for wildlife photography than the haunting howl of the wolf. From the white wolves of the tundra in the Arctic to the Lamar Canyon Pack in Yellowstone National Park, Wolf photography is like no other. Watching a bull Wapiti bugle on one side of a mountain valley and hear it answered with a lone wolf call on the other brings back thoughts of times before man. They are essential to the environment. In this fine art photography gallery you can look into the eyes of a black wolf and know his intelligence and marvel as gray wolves howl together in the blowing snow. Crevasse ( Sensual Canyons) The sandstone slot canyons in the deserts of Arizona and Utah are incredibly beautiful. Located near Lake Powell and the Escalante, their sensual colors of amber, red, rose, magenta and blue make for stunning art images that are always noticed on the walls of homes and offices. Vic likes to call the twisting, turning landscapes “Waves of Stone”.The light beams that pierce the depths of these narrow canyons remind him of the creation story in Genesis. Antelope Canyon is one of the most photographed, but Vic prefers the less explored Crevasses such as Canyon X , Secret Canyon and Pink Canyon in the Valley of Fire, Nevada. You can find him there in the spring or fall when the desert temperatures are less extreme, covered in dust, capturing their incredible beauty. Centennial State ( Colorado) Colorado makes for incredible, colorful fine art and landscape photography that is featured in many collector’s homes and businesses throughout the world. From the high mountain peaks called fourteeners, to the lush valleys and forested hills filled with Columbines, Indian Paintbrush, and Lupine this is home for Vic. He’s hiked its trails for years and knows many secret places that fill his heart with wonder. Look at “ Colorful Colorado” and you’ll understand why Vic is so enchanted with this place. The silver San Juan’s, Rocky Mountain National Park, the Colorado River that runs red after a rainstorm and the high mountain lakes and streams are a paradise. The greens of spring and golden aspen of fall contrasted against snow capped peaks are stunning. Fly fisherman cast its waters for trout and climbers test their skills against the Diamond face of Longs Peak. 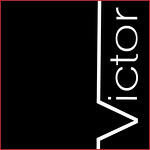 If you want to know Colorado or own a piece of it, Vic’s beautiful images will fill that space. Elk (Cervus Canadensis) Nothing captures the very soul of the Rocky Mountains more than the Bull elk. From Montana, Colorado,Wyoming, Idaho, New Mexico, Yellowstone National Park, Teton National Park or Rocky Mountain National Park, people search for the massive antlers that define a mature bull in the fall. It is one of the great wildlife species of North America. Seeing those antlers silhouetted against a painted sunset and hearing the challenging bugle of an old bull will make you fall in love with nature. It is one of Vic’s favorite animals to photograph and he has tens of thousands of images to prove it. He’s known throughout the world as one of the best elk photographers and his pictures of these incredible creatures can be found on the covers of many magazines. Collectors prize these pictures not only for their beauty, but because it reminds them of all that is wild, magnificent and free. Elevations ( The Mountains) This gallery of Mountain Landscapes captures the stunning sunsets, painted clouds, trees, crystal clear lakes and incredible crisp colors that help to make Vic Schendel one of the premier contemporary landscape photographers today. His fine art landscapes and scenic photography will help to make you understand what a mountain dreamscape can feel like and they will fill your senses with wonder and dreams of adventure. The color of summer flowers as they sprinkle mountain hillsides or the rich reds and yellows of Aspens as they color the slopes with gold are spectacular. These images are favorites for corporate and Healthcare art and decorate the walls of many homes. Equus (Horses and Cowboys) Vic’s fine horse photography captures the spirit of the west and invokes his fondness for Charlie Russell paintings and western cowboys. Having loved western art from the time he was a young man, he’s been on roundups, branding's and cattle drives in Wyoming, Colorado and Montana. Something about cowboy boots and hats, longhorn cattle, the old frontier, vintage westerns, time in the saddle and wild horses runs in his veins. Through his experiences, Vic captures the spirit of the west in this gallery. Inflorescence (Flowers) Wandering through the mountain slopes and valley’s of the world, Vic’s flower pictures in this gallery capture nature’s garden in a splendor of color. Red poppies, Sensual Iris, Columbine, Lupin, daisies and lilies are some of his favorite. Yankee Boy Basin and Governor’s Basin in the San Juan mountain Range of Southwestern Colorado are his favorites. These pictures have been featured in Colorado Lifestyle Magazine and Sierra Club calendars. Flower images, with their unique colors and shapes add incredible beauty to any room and make the viewer feel that springtime is always here. Nautical ( The Seas) The ocean, with its pounding surf, beautiful beach sunsets, a crystal clear wave and misty salt spray make for stunning landscape photography. The California Coast, the Algarve beaches and sea caves of Portugal and the Pacific Northwest coastline are some of Vic’s favorite places to photograph. These images, with their incredible color and beauty make stunning large canvas wall art and will add much to any room with a nautical decor. Mule deer (Odocoileus Hemionus) Trophy mule deer bucks with their large antlers in the fall rut are a magnificent North American animal. As a wildlife photographer, Vic enjoys finding them in velvet during the late summer months and loves to catch their spotted fawns hiding in the tall grass. Non-typical bucks are favorites, with many tines on their branched antlers shimmering with reflected sunlight at dawn against the beautiful fall colors of the Rocky Mountains. Whitetail deer (Odocoileus Virginianus) Whitetail deer photos are some of Vic’s favorites. While he may not find all of the record whitetails, his high quality pictures of large bucks with big racks against fall colors are absolutely beautiful. These wildlife images have been featured in Bowhunter Magazine, Petersen’s Bowhunting, Cabela’s, Fur, Fish and Game, and American Hunter. Mountain Goats( Oreamnos Americanus) Rocky Mountain Goats, their beautiful white coats shimmering against a deep blue sky make for magnificent wildlife photography. A nannie with her kid in the alpine tundra are often found wondering the sheer cliffs of Mount Evans, Colorado, and Glacier National Park, Montana. Bighorn Sheep (Ovis Canadensis) Rocky Mountain Bighorn Sheep are found throughout the Rocky Mountains. Big rams with full curl horns in winter coats make the best pictures. Fort Collins, Colorado is Vic Schendel’s hometown. Colorado State University is located here and their mascot is the ram. Many of Vic’s ram pictures are found on the walls of local businesses. Some of the best places to find these animals are Wild horse Island, Montana, Glacier National Park, Yellowstone’s Lamar Valley and Rocky Mountain National Park. Pescado ( Fish and Fisherman) Fly fisherman casting for trout on the Madison River, Poudre River, Yellowstone River, Big Thompson River and the Colorado River are a Vic Schendel specialty. His images show you, the viewer, the romance and skill involved with fly casting in some of the most beautiful places on earth. Floating a drift boat down the Madison you can see anglers land large brown trout. On the Poudre, you can watch them search for rainbows and brook trout in the half light of the canyon. In the high country streams and lakes you can see his colorful pictures of Brook Trout. He loves to photograph a fisherman searching for the right dry fly or nymph and then watch him cast with just the right gear and precision to a deep hole waiting for a trout to strike. Solitude ( The Desert) The photograph of a Desert scape is magical. Vic explores the American Southwest mining for pictures of desolation, quietness and adventure in the desert. Here you can find ancient Anasazi ruins, a firehouse, tucked away in Mule Canyon, Mesa Verde National Park, or the Ute Tribal park in southwestern Colorado. Some of his favorites are the white sand dunes of White Sands National Monument and the reddish orange dunes and monoliths of Monument Valley. Moab, Utah, with its famous National Parks Arches and Canyon Lands is a wonderland. The Alabama Hills in California and Death Valley offer another treasure trove for the serious landscape Photographer. The Saguaro and cactus forests of Saguaro National Monument bring back memories of the old western movies that are dear to Vic. These images look incredible when printed on metallic papers and mounted on aluminum. Waterfowl (Ducks, Geese, Swans) Waterfowl photography is another of Vic’s favorites. The beautiful plumage of a wood duck on a deep blue still watered pond with reflected fall colors can be stunning. Pintail, northern shoveler, American wigeon, merganser, teal, mallard, golden eye mandarin, trumpeter swan, and Canada geese are all featured in this gallery. One of his favorites is to capture the splash of water and rushing wings as they take off from icy water on a winter’s day. Wildcats ( Bobcats, Lynx, Cougar) Most people love house cats, but wildcats are where its at for Vic. Watching a Mountain Lion stalk prey and hearing the low, haunting growl it makes will make the hair on your neck stand on end. A bobcat licking its chops, or the allusive lynx creeping through a forest will make you think differently the next time you watch your pet, purring, sleeping on your lap. Black Bear ( Ursus Americanus} Meeting face to face with a black bear can be an interesting experience while photographing . Stay still, just keep looking through the lens and know that life can be a fragile thing. A sow with a black bear cub can be downright scary. Look into their eyes through Vic’s pictures and know that the wild in nature is alive and well. Wildfowl ( Pheasant, Turkey, Grouse, Doves) The beautiful plumage of a pheasant, the gobble of a wild turkey, the rush of wings as a blue grouse takes flight, the strut of a sage grouse and the coo of a mourning dove in the early morning are all captured here. Grizzly Bear (Ursus Horribilis) Close enough to smell their breath is to close, but Vic’s been there..once! An old silver tip grizzly bear in his prime can be dangerous and yet a unique photographic study in all that we as humans think of as wild. In this gallery you look into a grizzly’s eyes and know his soul. You can see his flashing fangs as he growls. The Alaskan brown bears of the Kenai Peninsula are larger than their cousins in Yellowstone, Glacier or near Banff and Jasper, Canada. They are awesome animals to photograph, but be very careful. Red Fox (Vulpes Vulpes) It’s sometimes hard to forget that the Red Fox is a predator. Their kits are some of the cutest animals on the planet. Even the adults are cute. They are extremely curious, have beautiful red fir, beautiful golden eyes and big, bushy tails. Watching them hunt, using their big ears and cocking their heads, and then pouncing on a rodent is like watching a ballet in the animal world. Timberline ( Pika, Marmot and Ptarmigan) Up above Estes Park, Colorado, lies the jewell of the Rockies, Rocky Mountain National Park and Trail Ridge Road. Here, above timberline, you can photograph the Pika, Marmot and Ptarmigan. Listen for the high pitched chirp of the Pika and Marmot and watch them feed on the wild flowers and short grasses of the alpine tundra. Look carefully for Ptarmigan among the rocks as their plumage camouflages them completely. Pika are an endangered species and climate warming is having an adverse effect on their environment . The Old Country ( Italy and Portugal) Vic is beginning to travel extensively in Europe. If you like photographs of Italy and Portugal then this is the gallery for you. Let your minds eye travel to the Grand Canal in Venice and watch the gondoliers. Walk Saint Marks square. Visit Varenna or Bellagio on Lake Como. His landscape images of Tuscany, Cinque Terra, and the Amalfi coast are stunning. Portugal is his favorite and the Algarve region of this country is the highlight. With it’s incredible beaches and crystal clear aqua waters the pictures will make you feel like you’re really there. Visit Sentra with its beautiful gardens. Find yourself walking barefoot on remote, miles long beaches of the western coast. Be sure to look at the pictures of his Portugal sea caves. Diversity (Assorted Critters) You’ll find them all here. Huge Crocodiles, Hippos, Lions, Tigers Gorillas, monkeys, cheetah, birds, butterflies, badgers, giraffes, zebra, red eyed tree frogs, magpies, hummingbirds, peacocks, sand hill cranes, parrots, javelina, macaws, cape buffalo, crown head cranes, elephants, orangutans, flamingos, blue heron, ostrich, rhino, otter, prairie dog, polar bear, alligator, gibbon, elephant seals, kangaroo, lorikeets, raccoon, and a bunch more. Many of these pictures can be seen on greeting cards by Pumpernickel Press and if gift shops through out the United States. Monochromatic ( Black and White) Black and white photography is both stunning and popular. Here you can find fine art photography at its best. Slot canyons, ancient anasazi ruins near Mesa Verde and the Ute Tribal Park, mountains, sand dunes, snowscapes, seascapes, steam locomotives, bridges, Golden gate bridge, wildlife and wildflowers. Raptors ( Eagles, Hawks, Osprey, Owls) There are many raptors that Vic photographs. These birds of prey include the Bald Eagle, Golden Eagle, Red Tailed Hawk, Coopers Hawk, Swainsons Hawk, Prairie Falcon, Osprey, Barn Owl, Barred Owl, Burrowing Owl, and Great Horned Owl. His pictures of these birds in flight, with their sharp talons glistening in the sunlight make wonderful wildlife photos. Vic Schendel’s ornamental gallery is the definitive resource for interior designers, architects and other design pros, featuring groundbreaking projects, innovative new products, real-time design. Offering print, digital and events. Vic Schendel Photography - Discover, Research, and Collect the World's Best Art Online. Ornamental is the online resource for art collecting and education. Discover, learn about, and buy art you'll love, featuring fine art, design, and photography from our galleries. Vic Schendel is the online resource for art collecting and education. Vic Schendel is the online resource for art collecting and education. All artwork and print-on-demand products ship within 3 - 4 business days. Art is An Integral Part of Health Care Design Plan. We specialize in Healthcare Art Consulting. Vic Schendel Photography has been serving interior designers, architects and property managers for over 10 years. Providing art for hospitals and medical facilities Vic Schendel Photography has a vast selection of commercial decor options including abstract art, canvas prints, framed prints, and photography. Let us know how we can help you decorate your business. Canvas prints, commercial decor, abstract art, canvas prints, framed prints, photography. Great Art for Great Spaces. One Great Company. One Fantastic Process. One Amazing Interior. Photographer, photography commission, commercial photography, lifestyle, life style, piers, pier, sand dunes, stock image, portraits, portraiture, commissions.